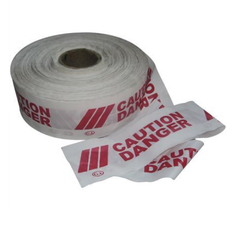 Safety Tapes are ideal for warning at danger / cautious areas which prevents humans from any accidents. These safety tapes are safe and stable with high visibility alerts. These are mainly used at corporate offices and industries in dry, wet and oily conditions. We have over two decades of vast industrial knowledge and experience in producing superior quality Reflective Tapes. The offered tape is manufactured by using premium quality raw material and the latest technology at our ultra-modern production unit. Catering the varied demands of our customers in an efficient manner, we provide this tape in various sizes and specifications. The basic materials used in manufacturing Floor Marking Tapes are well tested by our testing team to ensure its safety. Advanced techniques are used to produce PVC Tapes with precision. With more than two decades of experience in the field of Industrial Safety Products, we have emerged as a respectable leader for the supply of Anti-Slip Tape. To maintain industry set quality norms, the offered tape is manufactured using quality tested basic material and ultra-modern technology by our proficient professionals. The provided tape is examined by our quality examiners on distinct parameters. Moreover, our valuable customers can avail this tape from us at nominal prices. 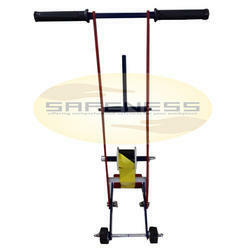 We offer the extensive and comprehensive range of Barricade Tape. The product Warning Tape is designed keeping in mind all innovative approaches to workforce safety and demands, made by industries worldwide. 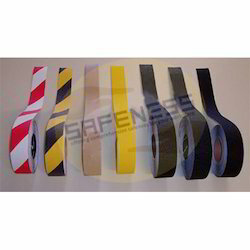 In addition, we offer varied range of Barrier Tape which are being widely used in industries like Metallurgical, Steel, Aluminum, Power, Energy, Petrochemical, Oil & Gas, Glass, Chemical, Cement Offshore & Onshore Industry, Furnace Areas, Fire Departments, etc. We have introduced a new product in our product line of Floor Marking Tapes. Used to apply adhesive backed self-wound tape to a hard surfaces. Common use in warehouse's aisle marking. An Aisle Marking Tape Applicator is used to install tapes quickly and easily to smooth, clean floors. The Marking Tape Applicator allows for straight and curved runs of floor marking tape. Holds up to a 4" x 60 yd. roll floor marking or a 4" x 50 yd. 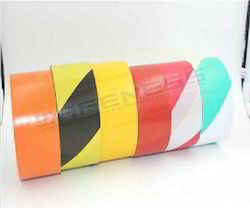 roll pavement marking tape. Tape is applied quickly and easily with no awkward bending or stooping. Large wheel base ensures smooth placement of tape every time! Heavy duty construction stands up to years of constant use. Looking for Floor Marking Tape ?